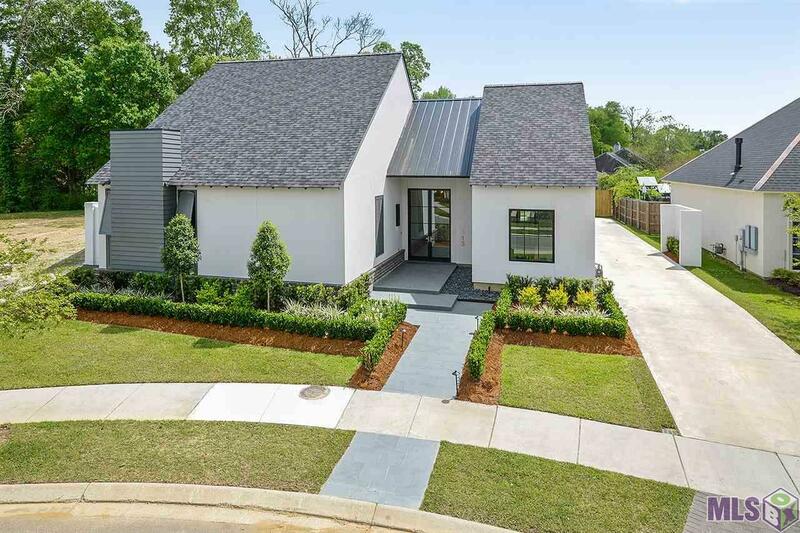 Stunning Contemporary Custom home in Settlement at Willowgrove on one of the largest lots in the neighborhood (actually 1.5 lots) w/ very large yard for the neighborhood. Over-sized 3 car garage w/ golf cart port and very ample storage space. Amazing Courtyard w/ large pool, fountain and water features. As you enter the home, the foyer guides you to the gallery featuring the courtyard and water features via of window wall(s), natural light is abundant... Floor to Ceiling window wall systems bring the outdoors inside and create a beautiful setting. The "open steel stair case" is very unique feature accenting the living room along w/ 14' ceilings. White Oak stained cabinets in kitchen/master bath & fireplace surround along w/ top of line appliances and finishes bring the West Coast "Wow" factor to this home. This is a Unique home and is sure to stand out. All bedrooms have private bath (including 3 built-in showers). A large bonus room upstairs and office/study finish things off nicely. Construction completion expected mid January 2019. The data relating to real estate for sale on this website comes in part from the Broker Exchange Program of the Multiple Listing Service of the Greater Baton Rouge Association of REALTORS©, Inc. IDX information is provided exclusively for consumers' personal, non-commercial use and may not be used for any purpose other than to identify prospective properties consumers may be interested in purchasing. Information is deemed reliable but is not guaranteed. Real estate listings held by brokerage firms other than Home After Home are marked with the Broker Exchange “BX” Logo. © 2017 Multiple Listing Service of the Greater Baton Rouge Association of REALTORS©, Inc. All rights reserved. Information last updated on 2019-04-22.